It was The Cooktwit birthday, mid-July as always. My aim was to hit two Manchester biggies! An afternoon with the boys yielded a long sought after sortie to Iberica. That was brilliant. 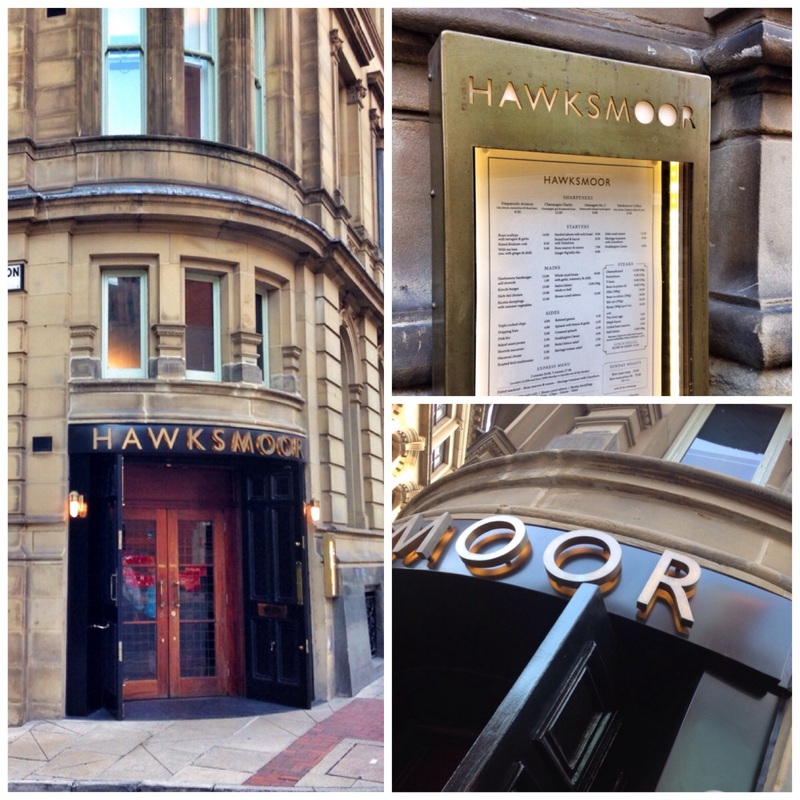 For the big day itself though, The Flame treated me to my other ‘on the list’ eatery ‘Hawksmoor’. It was heralded by many as Manchester’s most eagerly awaited restaurant opening. 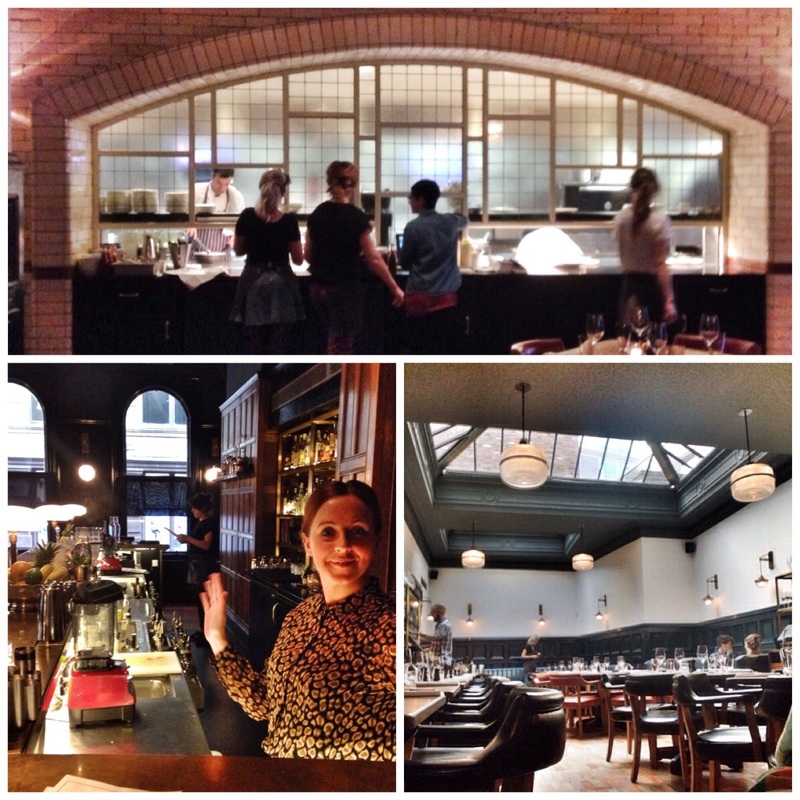 Its original London based versions are still lauded as places to be. Lots have been written about this Manchester version. I doubt I can add too much, but I’ll try! It’s a grand space. Housed in an, old, former, Victorian courthouse on Deansgate. The grandeur is replicated within. Mahogany panels and leather seating defines the look. You enter the dining area via the bar and the spectacular pass. The gentlemen’s club persona continues. One could easily imagine Bertie Wooster treating Gus Finknottle to a snifter and a scotch egg whilst Jeeves* waits outside with the umbrella. Our Jeeves operated indoors by the name of Alex. Wearing a spectacular beard he sat down and explained in perfect detail as to how best to negotiate the evening ahead. A Buxton IPA was his first recommendation. Needless to say that worked. He then led both The Flame and I through the card before delivering a stunning, three course meal. It’s a fairly simple menu. Meat or fish with all the trimmings. The only complication is working out whether to buy your steak by weight (about 10 pence per gram!) or as an individual cut and which sides to add. For starts I had the scallops. Four massive roasted scallops, scalded to their shell with a crumb and tarragon, garlic butter. They cost £14 mind but blimey what a start. They were plump and delicious. The flame had the smoked salmon and soda bread (£9). Again, simple quality. 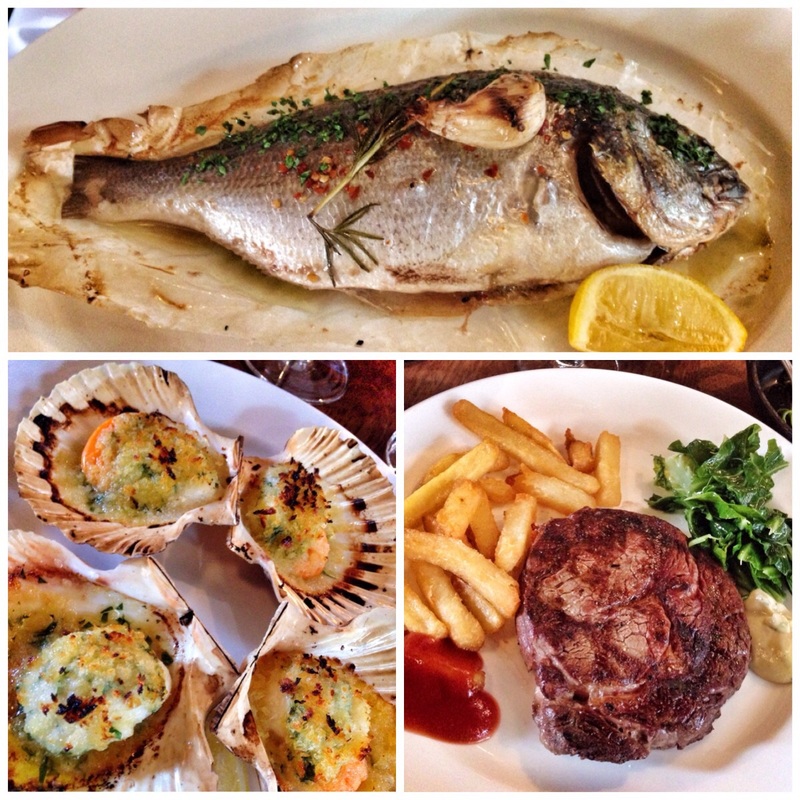 For mains we went for the royal sea bream with rosemary, garlic and chilli (£18). It came whole ‘en papillote’ with sweet potato side and buttered greens (£3.50 each). Cooked to perfection, the flame stripped it bare in no time. I went for a medium/rare rib eye steak (£26) with triple cooked chips (£4) and an anchovy hollandaise sauce. 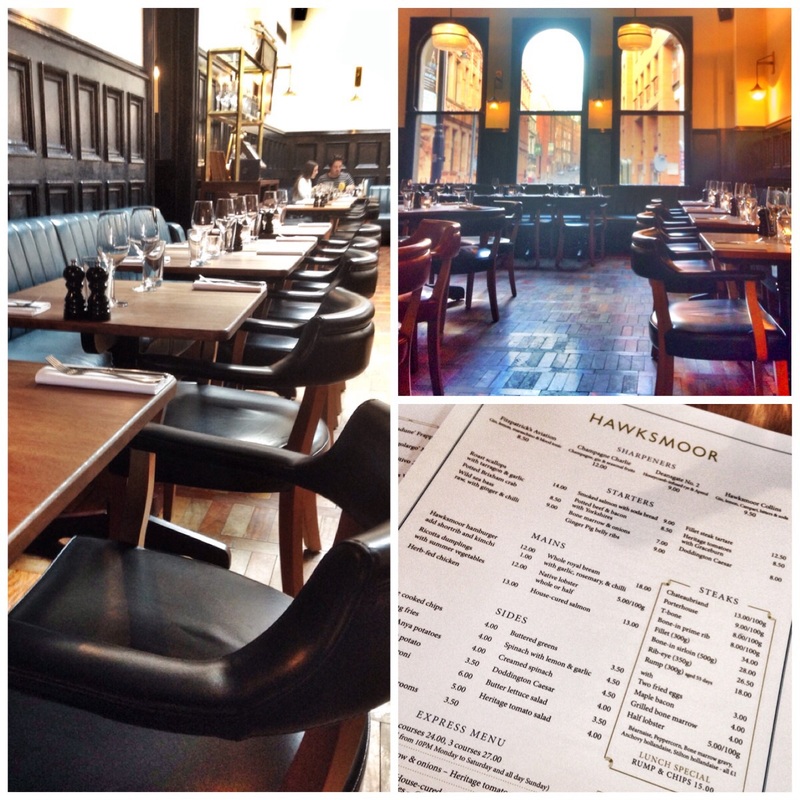 Hawksmoor is renowned for its steaks. It was easy to understand why. I’m struggling to recall a better steak. I’m not sure I’ve had one, it was off the scale tender. A word about the side. Chips for me nowadays are a rare treat. In the words of Michael Winner these were ‘historic’. A mild crunch outside with a soft centre, pure bliss. It’s worth coming here for these! As ever desserts were called for. 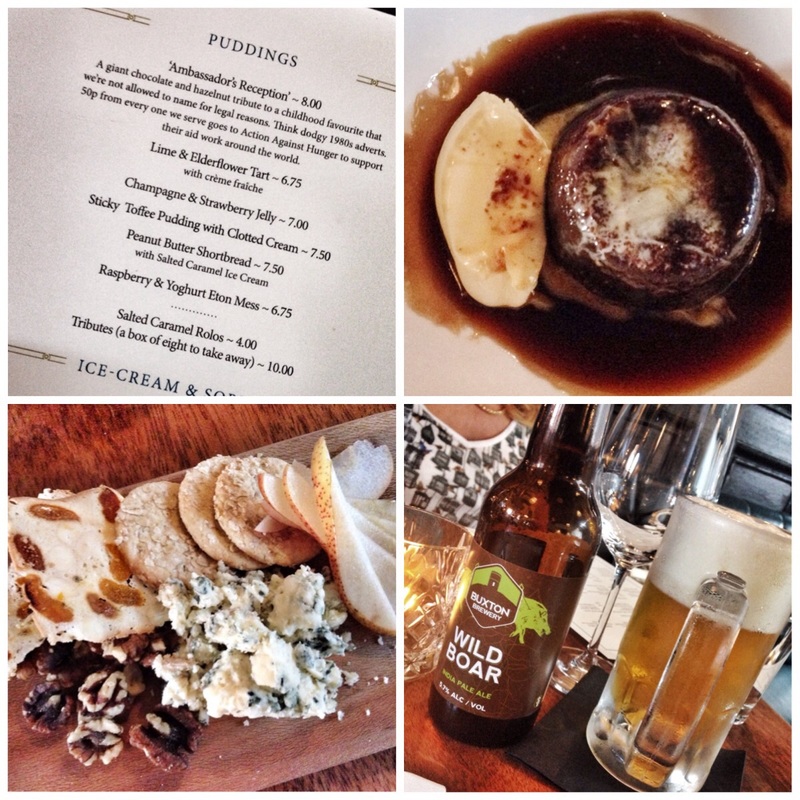 The flame opted for a very neat cheese selection (£10) complete with Apple and walnuts, whilst I went old school with a sticky toffee pudding and ice cream (£7.50). Both great. *Anyone under thirty google PG Wodehouse!